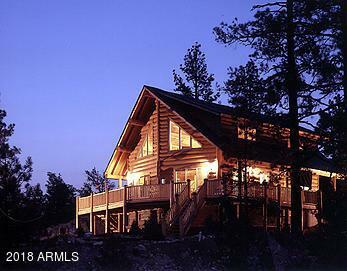 Hillside living in Summer Place N, this Log home has wonderful distance views. Wrap around maintenance free decking, along w/a private spa. The chalet type log home has a real deep garage, that wraps around to a huge basement space with all kinds of possibilities, for you to finish. Inside, the great room w/fireplace, w/ tall vaulted ceilings, dining room, and open island kitchen. 2 bedrooms, custom bathroom, and laundry on the entry level. Upstairs you have a large loft with a view. The master suite is upstairs, it is huge, a private walk out deck, walk in wardrobe, soaring vaulted ceilings, built in storage, the master bath has a jetted tub, walk in shower, double vanity, and custom stone work. The basement area, leads to the garage and huge bonus area, w/double exterior doors for toys.